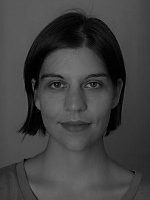 Jana Bacevic is a Postdoctoral researcher at the University of Aarhus, Denmark and author of the book ‘From Class to Identity: The Politics of Education Reforms in Former Yugoslavia’. The Bologna process was a step towards creating a “Europe of Knowledge” where ideas and people could travel freely throughout Europe. Yet, this goal is threatened by changes to the structure of the higher education sector and perhaps by the nature of academia itself.